Client. 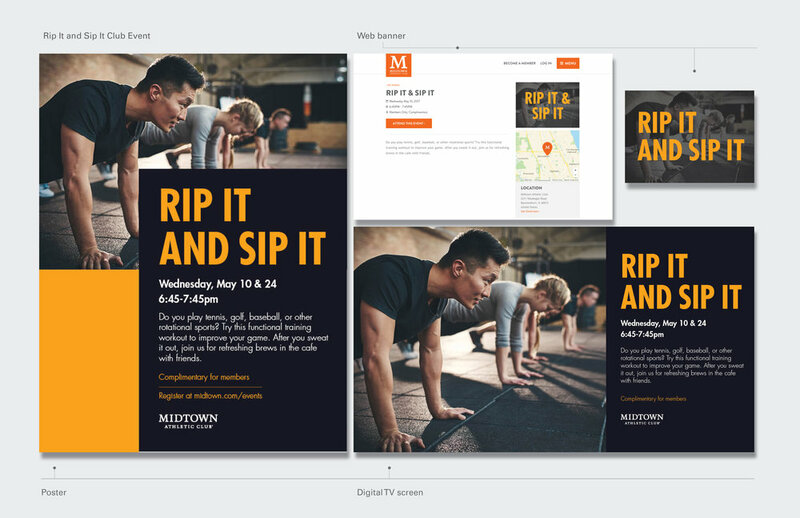 Created various posters, digital displays, email banners, and web banners to be displayed at multiple U.S. locations for the upscale athletic club. 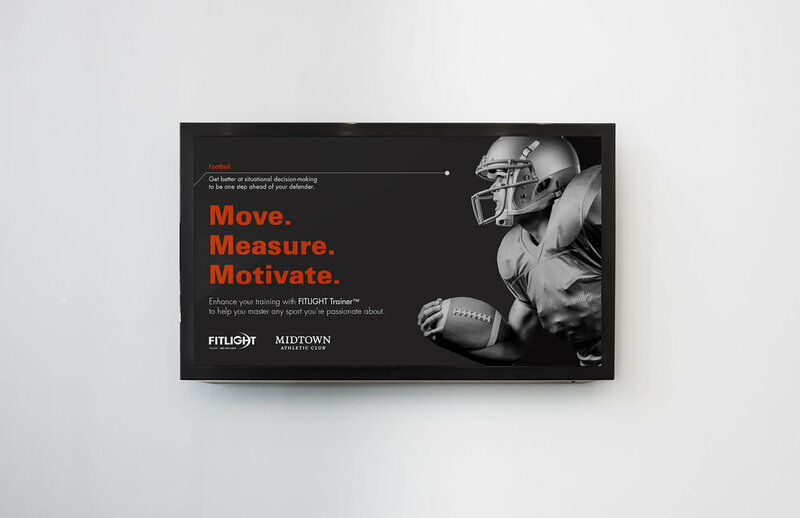 Campaign for Midtown Athletic Club's Rochester, New York location's promotion of FitLight Trainer. 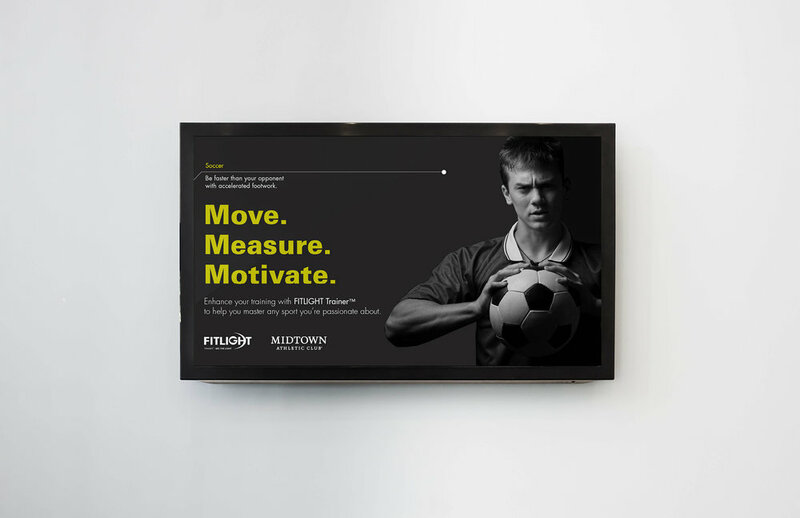 The existing slogan for FitLight Trainer "Move. Measure. Motivate." inspired this design. The images for each sport were selected for their strong lighting contrast which adds a dramatic feel to the campaign. 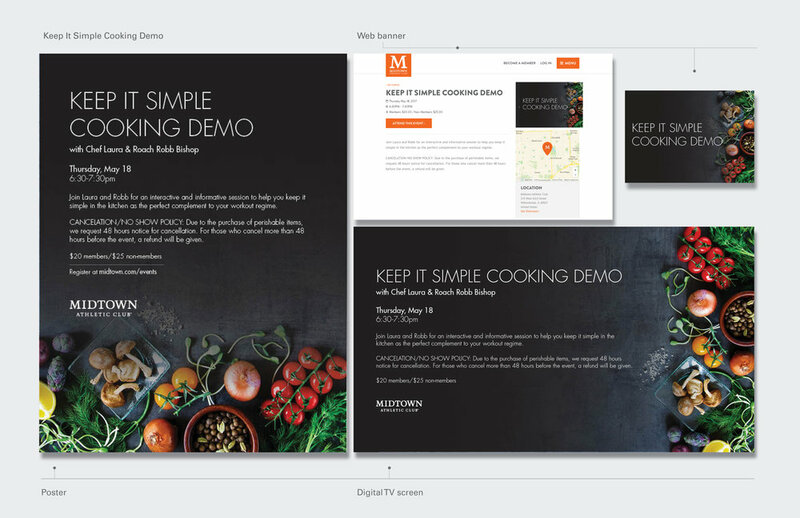 The layout for the banners move the viewer through the page from subject to image. 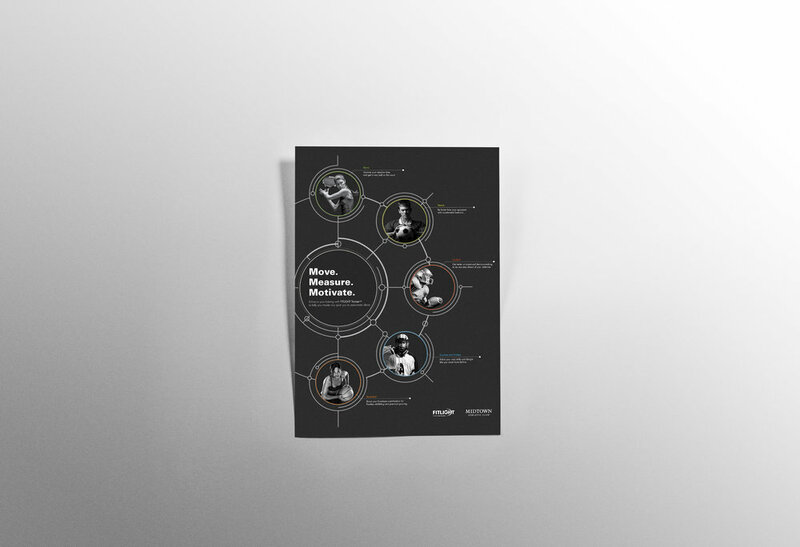 The poster brings together the five sports highlighted by the campaign and is designed to resemble the product. 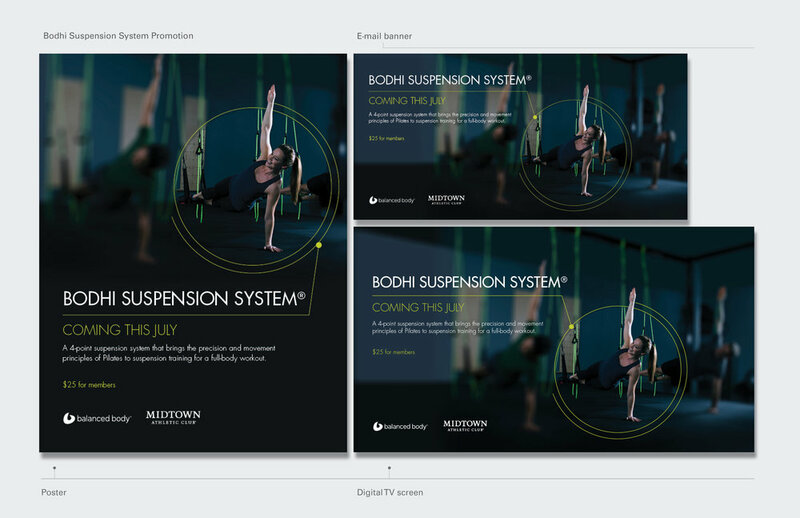 Bodhi Suspension System promotion to Midtown members. The Bodhi system works on targeted muscles through a system of balanced and suspension workouts. The photos were edited to focus in on a single subject and the circle and line graphic reinforces themes of balance and suspension. Rise vision screens are located in various areas of the athletic clubs displaying the latest events and promotion details.